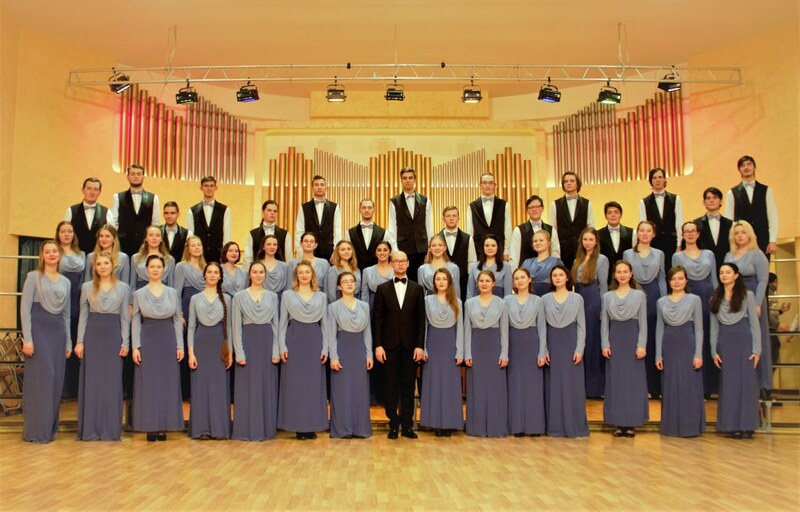 People’s collective of Russia Academic Choir of Dobrolyubov Nizhny Novgorod State Linguistic University (or Linguistic University choir) was founded in 1991 by Vera Sladchenko, Honored Worker of Culture of Russia. The choir is the Grand Prix winner of Chaliapin International Festival in Yalta (2009), International competition in France (2011), winner of Golden Diploma of International Festival “Riva del Garda” (Italy, 2008), Schumann International festival (Germany, 2010). It became the laureate of contest-festivals “Danube Rainbow” (Hungary, 2009), “Golden Voices” (Spain, 2010), “Prague Voices” (Czech Republic, 2013), International Choir Festival in Vienna (Austria, 2014), «Petersburg Choir Assemblies» (St. Petersburg, 2015), II Christmas Choir Festival in Warsaw (Poland, 2016), International Choir Assembly «Golden Crane» (Moscow, 2017). In recent years, the choir has actively cooperated with leading creative collectives in Nizhny Novgorod and the nearest cities. It toured successfully and had joint performances with local collectives in Kirov, Arzamas, Vladimir and Moscow. The basis of the collective’s repertoire contains pieces in different languages ​​of the world. Over the 25-year choir’s history, the choir has performed pieces in more than 30 languages, including English, Italian, German, French, Spanish, Japanese, Thai, Chinese, Georgian, Basque, Turkish, Czech, Polish, Hebrew, Greek, Hungarian, Balinese and many others. Choirmaster of the choir is Narine Dvorschenko. Art director of Linguistic University Choir, laureate of international competitions, teacher of Balakirev Nizhny Novgorod Musical College. Maxim graduated from Glinka Nizhny Novgorod State Conservatory (class of Professor Viktor Kurzhavsky) and assistant internship (class of Professor Eduard Fertelmeister). 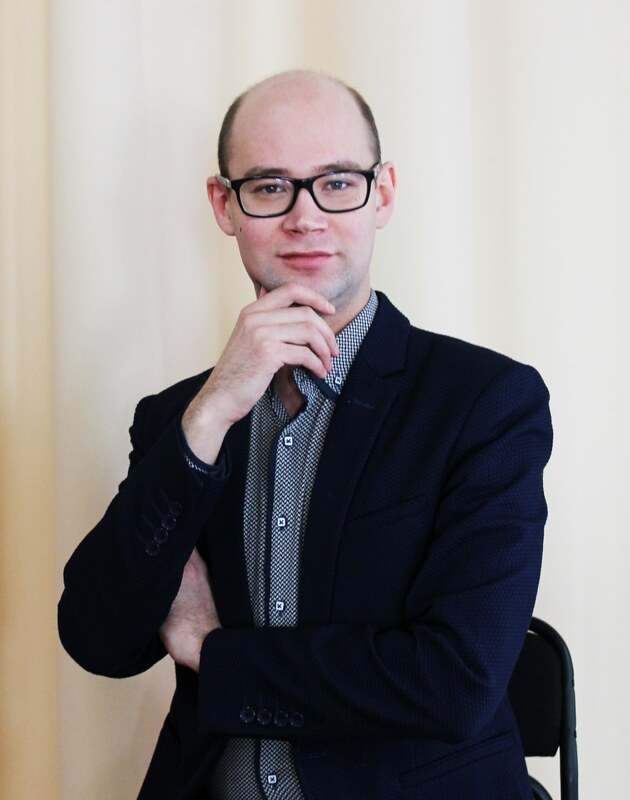 Since 2015, he is the head of the project “Nizhny Novgorod Youth Choir”, since 2016 he became the artistic director of Linguistic University Choir. At different time periods, he also worked with Tchaikovsky Izhevsk Municipal Chamber Choir, Choir of Nizhny Novgorod teachers, Youth chamber choir “Movement” (Dvizheniye) and children’s collectives of the city.